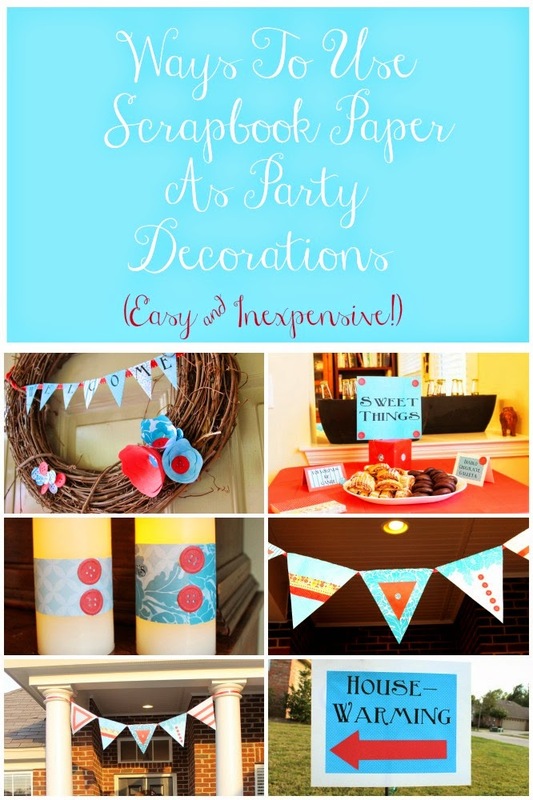 I've been inspired by all the cute uses for pennants at parties that I have seen in Blogland. They are so versatile and stylish. I was put in charge of invitations and decorations for a party some friends and I are giving and decided to try pennants myself as a "theme". 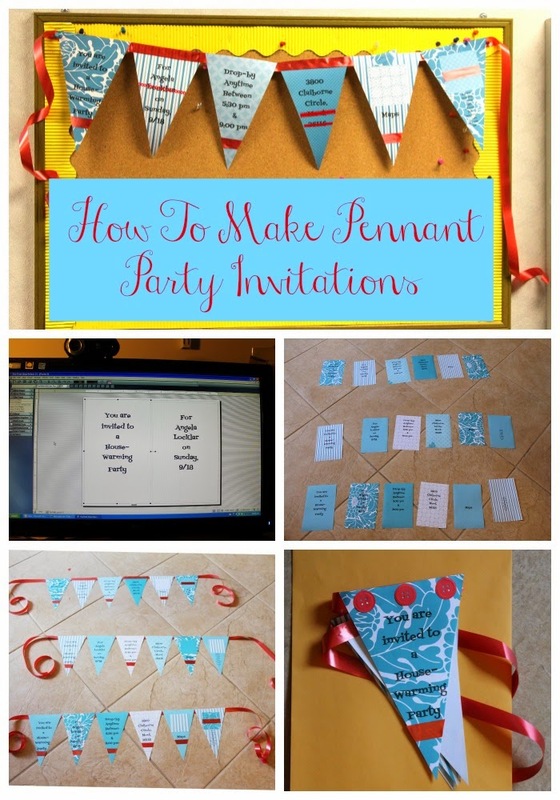 This post is about the invitations. about the actual party. You can see it here. but I also wanted them to be as inexpensive as possible. $2.50 at Michaels so each sheet was only about 10 cents each. Because I wanted to be able to print information about the party on each pennant from my home computer and printer, I cut down the 12"x12" scrapbook paper into an 8 1/2"x11" size. show on the "good" side of the paper. of letters that is sometimes required of a fabric pennant. I am a computer dummy but most computers have an easy program to set up the text. This is a screen shot of setting up the text to be run on the cut down scrapbook paper. ...and here it is after being run through the printer. The tricky part about printing on paper that will be a pennant, is that the text has to fall within the part of the paper that will not be cut away to make the pennant shape. .
on the pennant. This is an old-fashioned way of seeing layered things...to hold them up to a window. bought was that it was already color co-ordinated. three pennants since they would be posted in three different areas at work. I discovered "Zip-Dry" glue when I was making my daughter's wedding invitations. It holds well and best of all it does not "wrinkle" the paper like some glues do. they wanted to bring a gift to the party. Leave "tails" on the ribbon for hanging purposes. I added more little red accents to "cute-it-up" some more. a break room at my work. Of course, the text could be adapted to any type party. The entire pennant cost less than $1 each to make. (but without text) for the front of the guest of honor's house. 12x12 size since no text was going to be printed on these. click on "Paper Pennant Decorations". This was the original header for this blog post. I made a new one but need to keep this one in the post too in case someone had "pinned" it.